What Are The Best Bluetooth OBD2 Scanners in 2019? →What Are The Best Bluetooth OBD2 Scanners in 2019? Tired of taking your car in to the mechanic to get it fixed, only to get slapped with a huge bill and no clue if they even fixed the problem? Ever wish you could get inside your car’s brain and figure out what the issue is yourself? Well, with a Bluetooth OBD2 scanner, you can do exactly that. No more relying on some stranger to discover what is going on in your ride. Now all you need to do is install the scanner, download a compatible app on your smartphone, and connect your phone to the scanner via Bluetooth. After that, you will be able to see everything going on in your car. Not only will you be able to decipher the issues plaguing your vehicle, but you will also be able to understand how your car runs better than ever before. While purchasing such an advanced piece of technology like the Bluetooth OBD2 scanner sounds pretty intimidating at first, but keep reading and you will see it is pretty simple, and affordable, too. Just follow this helpful guide to determine which Bluetooth OBD2 scanner is best for you. What Are The Best Bluetooth OBD2 Scanners? 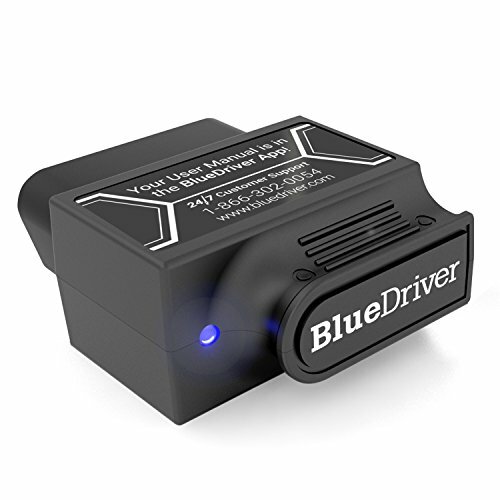 The BlueDriver Bluetooth Professional OBDII Scan Tool is the best scanner available right now. 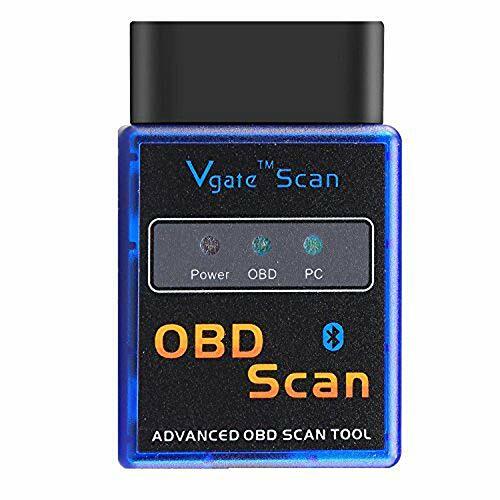 While it costs as much as ten times as much as some of the other scanners on this list, no other OBD2 scanner works as well as this bad boy. It works with both Android and iOS devices, and it has its own app to go with it. No more relying on some third party app to match up to whatever lousy other scanner you chose, the BlueDriver has its own app with a great user interface. This allows it to offer more in depth diagnostics as well as vehicle specific repair reports from certified auto mechanics. No more guesswork needed, this scanner tells you exactly what you need to do to fix your car. While it may not be as universally compatible with as many vehicles, it still covers most common car makes and models and will give you more and better information than any other Bluetooth OBD2 scanner on the market. 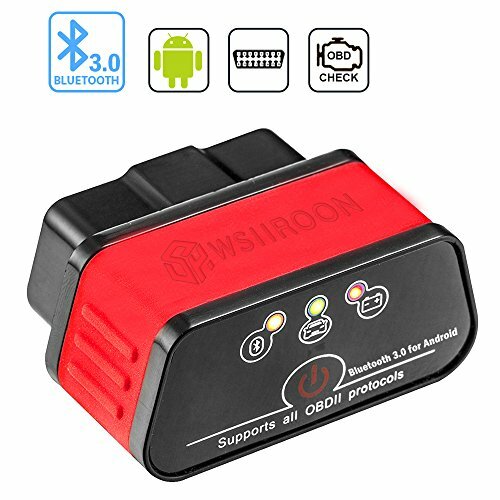 The wsiiroon Bluetooth 3.0 OBD2 Scanner is a great, easy to use option. This scanner is a breeze to install and operate, and its low price makes it an affordable option for anyone. It is widely compatible, able to work with almost all cars made in 1996 or later. It uses smart scanning to get the most important info up on the screen for you to see. The wsiiroon does have occasionally some issues connecting to devices. Also, this scanner only works with devices that run the Android operating system, and it requires a third party app to be used. But, for the low price and high quality diagnostics, this scanner is an excellent choice. 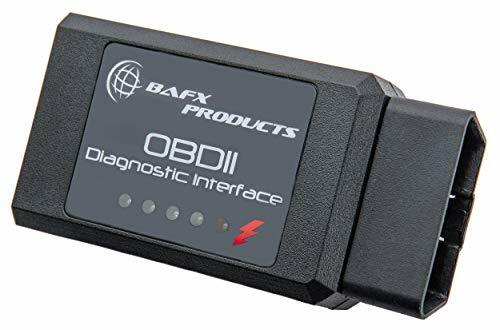 The BAFX Products Bluetooth Diagnostic OBDII scanner is a solid cheaper option. It is widely compatible, able to work with almost all cars made in 1996 or later. It has a low price tag and a two year warranty, so if you are on a serious budget you can still afford it. It is not the most durable option, but that two year warranty should keep you safe as long as you need it to. The BAFX does experience some issues connecting to devices. It also only is compatible with Android devices and requires a third party app. Overall, it is a fine scanner that will definitely be able to give you all the information you need. 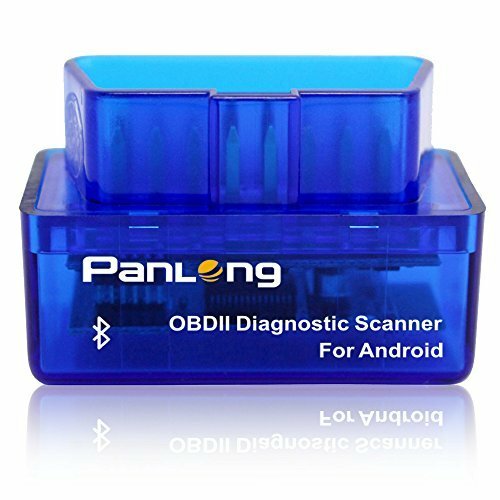 The Panlong Bluetooth OBD2 Car Diagnostic Scanner is a very cheap option that works with almost any vehicle. No matter what car you are driving, as long as it is made after 1996 you will most likely be able to hook this scanner up to it. It also comes with a money back guarantee and one year replacement warranty, which is good because it is not the most durable device in the world. The Panlong only works with Android devices and needs a third party app to work, but overall this scanner is an excellent choice for the frugal consumer. The Mestart OBD2 Bluetooth Scanner has one major selling point: it is cheap. It does not connect to as many cars as most scanners, only working with those made after 1998, but that still covers most vehicles on the road today. The Mestart only works with Android devices and also needs a third party app to read the information. It is not the most durable piece of technology, and it often has issues connecting to smartphones. But keep in mind the most important aspect of all: it is cheap! The Veepeak ODBCheck BLE Bluetooth 4.0 ODB2 Scanner is a versatile option that will do a good job giving you the information you need. This scanner works with both Android and iOS devices, and is compatible with almost vehicles made in 1996 or later. It is a very efficient choice, using far less power than most other OBD2 scanners. It comes with a low price tag and a 30 day money back, one year replacement warranty, so you definitely will not have to break the bank to swing this one. 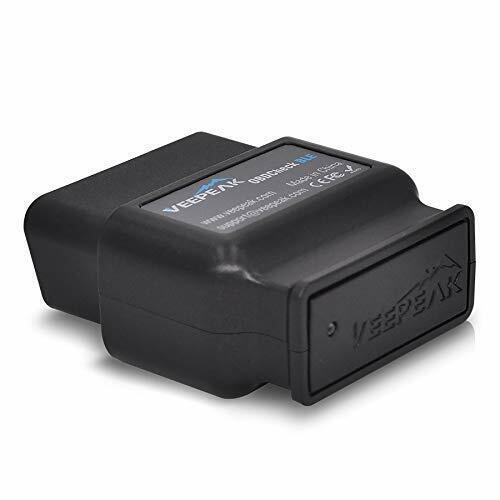 The Veepeak is not perfect, as it requires a third party app to read and display your vehicle’s data. Also, it does have some issues connecting and staying connected to smartphones. Overall, though, this scanner does a great job of recovering your car’s information and it works for multiple operating systems. 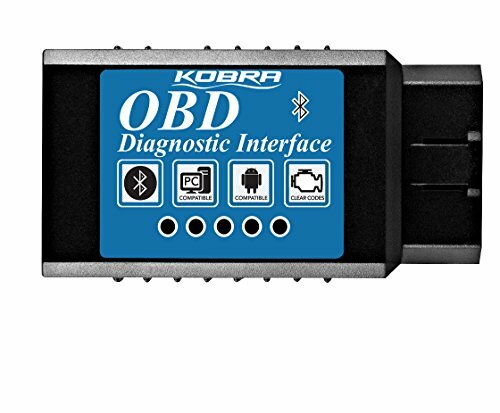 The KOBRA OBD2 Bluetooth scanner is a very cheap option that is made even sweeter when coupled with its one year money back guarantee. It works with most cars from 1996 or later, so your vehicle will probably work fine. And it is very easy to use, making getting your vehicles vital information simple. The KOBRA does only work with Android devices, and it requires a third party app to be useful. It also is not very durable, prone to breaking and malfunctioning. However, at such a low price it is still a great bargain for how well it works. The Amtake Bluetooth OBD2 Diagnostic Scan Tool is one of the more sensible options. It comes at a low price, and is protected by a six month warranty. It is compatible with just about every car made in 1996 and beyond. Plus, it is a breeze to install and relatively easy to understand. The Amtake is only compatible with Android devices. It also requires a third party app to display its data. This scanner is also no super durable, but that is what happens when it is so cheap. 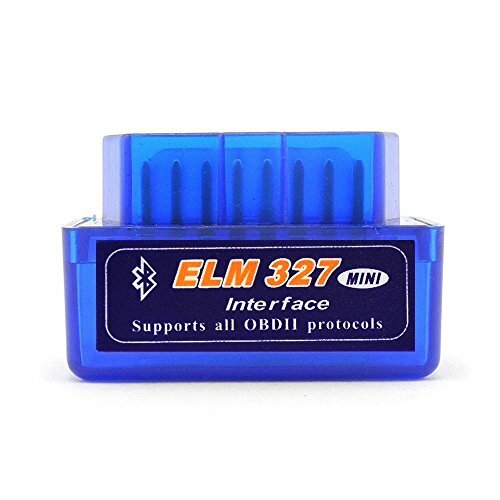 If you are trying to find a Bluetooth OBD2 scanner that works well and also will not eat into your retirement fund, this is a great option. A Bluetooth OBD2 scanner sounds like an intimidating and complex piece of technology, but it is far simpler and easier to understand than you think. However, that does not mean you can go ahead and purchase any old scanner and be fine. It is important to make sure that the scanner you choose is right for you. Here are a few things to keep an eye out for when deciding between Bluetooth OBD2 scanners. Your scanner has to be compatible to be useful, or even used at all. This means a couple different things. For one, it has to be compatible to your car, otherwise it will not be able to get any of the data from it. This is usually not an issue, because most cars made in 1996 and on in the United States are OBD2 compatible. Second, your scanner has to be compatible to your phone. While searching through the many options out there, you will likely notice that while almost every scanner works with Android devices, very few are compatible with those that run iOS. Therefore, if you have an iPhone, your choices for a quality Bluetooth OBD2 scanner are severely limited. Make sure the scanner you buy works with the phone you already have. Nobody wants to waste their time trying to get a scanner to work that is just too confusing to understand. Make sure that the scanner you decide on is not too complicated, otherwise you will waste precious time figuring it out when you could be doing literally anything else. Most scanners are relatively easy to install, so the main focus is on being able to understand the data presented to you in the app. Very few scanners have their own brand specific app, so you can look around at the various third party apps and decide which one works best for you. Finally, you can take the health of your vehicle into your own hands. A Bluetooth OBD2 scanner is exactly what you need to stop guessing at what the check engine light is referring to, and start solving the problem. With a good OBD2 scanner, you will be able to diagnose any issue going on in your car, as well as use the other data available to help treat your ride like the prince it is so it can last longer while performing better. All it takes it one tap and you will have access to everything going on with your vehicle inside and out. No more surprise breakdowns. Now you can be confident in your car. With a Bluetooth OBD2 scanner installed in your car, you will have your car’s entire diagnostic breakdown at your fingertips. Why take it to a mechanic to get a scan and have someone you do not know tell you what is going on, when you can buy the scanner yourself for a fraction of the price and figure it out yourself for free whenever you want. Honestly, it just makes sense to get one of these scanners. A solid Bluetooth OBD2 scanner will secure your peace of mind and help you fend off any unexpected mechanical issues. Put yourself back in control with an OBD2 scanner, but make sure to use this helpful guide as a resource to determine which Bluetooth OBD2 scanner works best for your car.